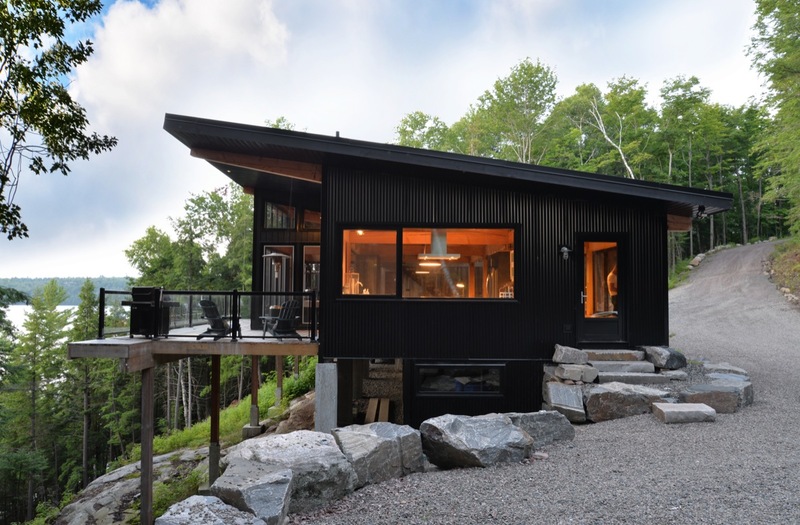 Blackbirch is a cottage in Haliburton Ontaro. 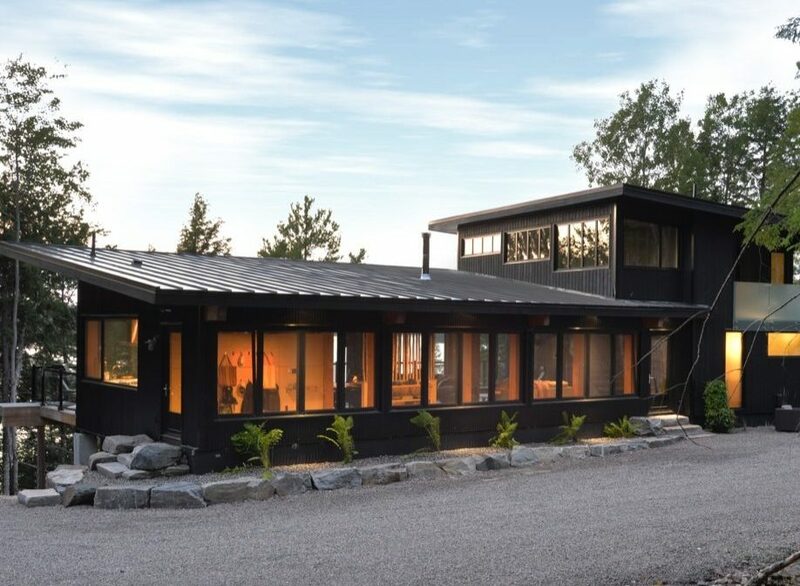 The cottage is perched high on a granite cliff over Drag Lake in the forest of northern Ontario. 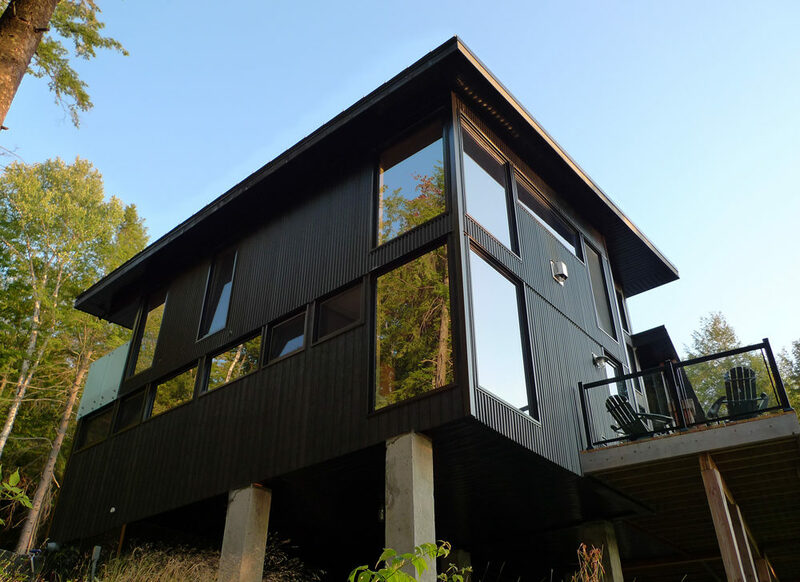 The cottage features a dramatic, 20ft central atrium which brings together two wings; a living wing with interiors featuring a douglas fir timber frame structure, and a sleeping wing featuring a top floor master suite with stunning northwest views over the lake through the forest. 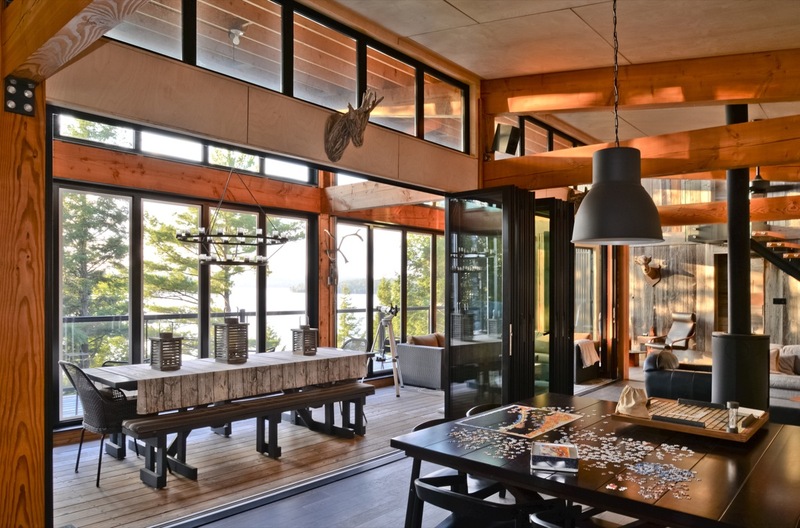 The main living space features a douglas-fir timber frame structure and large expanses of glass. 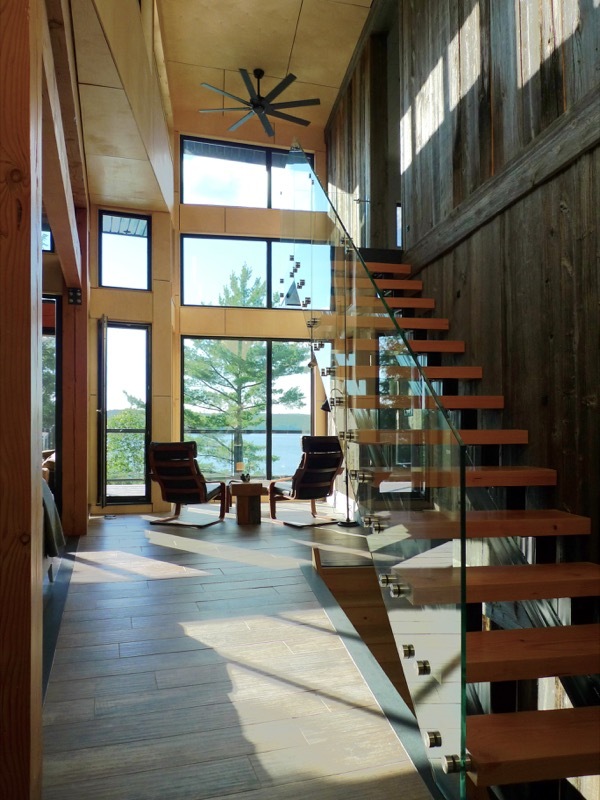 The entry is a double height atrium finished in douglas fir, birch plywood paneling and barnboard. 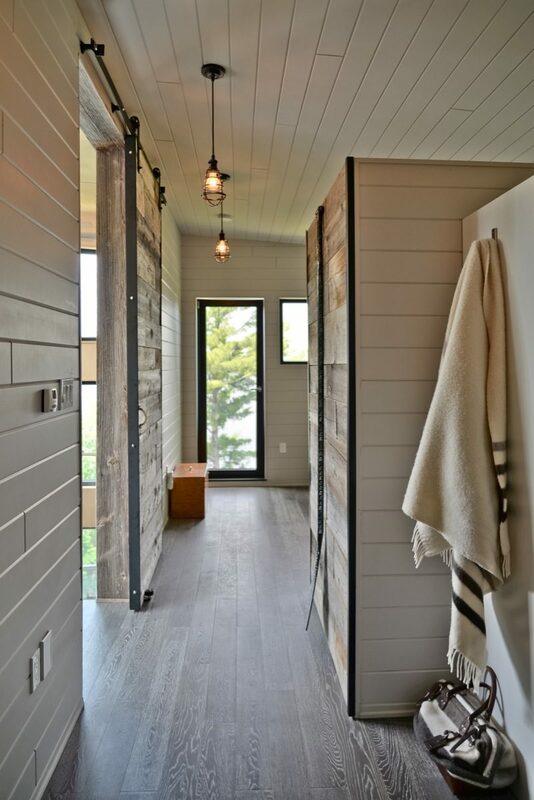 The living spaces are bright and feature heated floors. 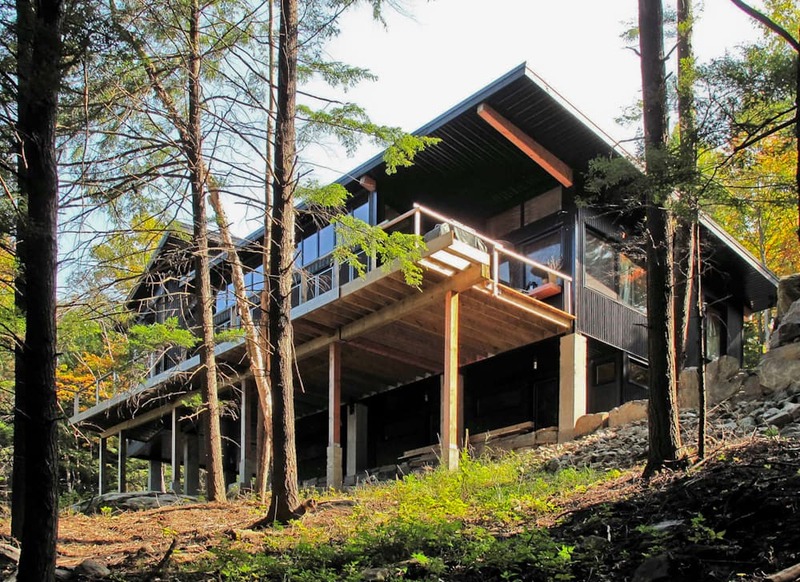 The cottage is perched high over the lake with stunning views of the northern forest. 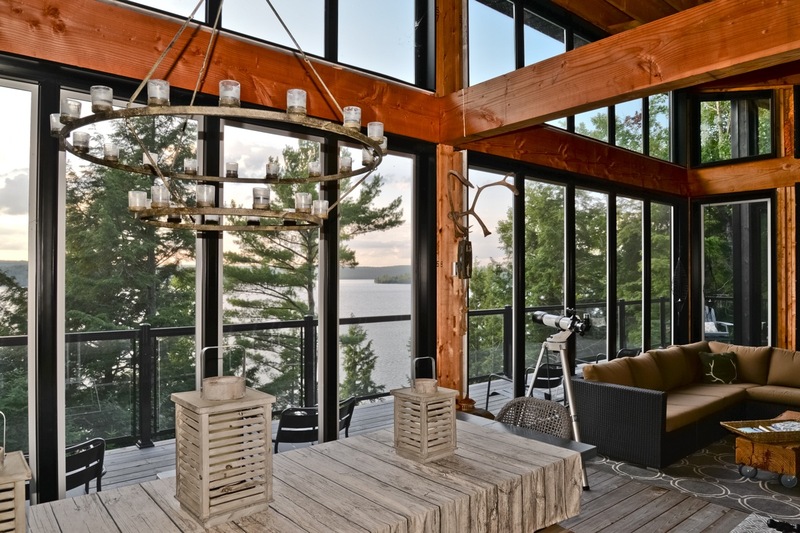 The living space opens onto a 70ft long deck overlooking the lake. The cottage is composed of two wings, one for living and one for sleeping. 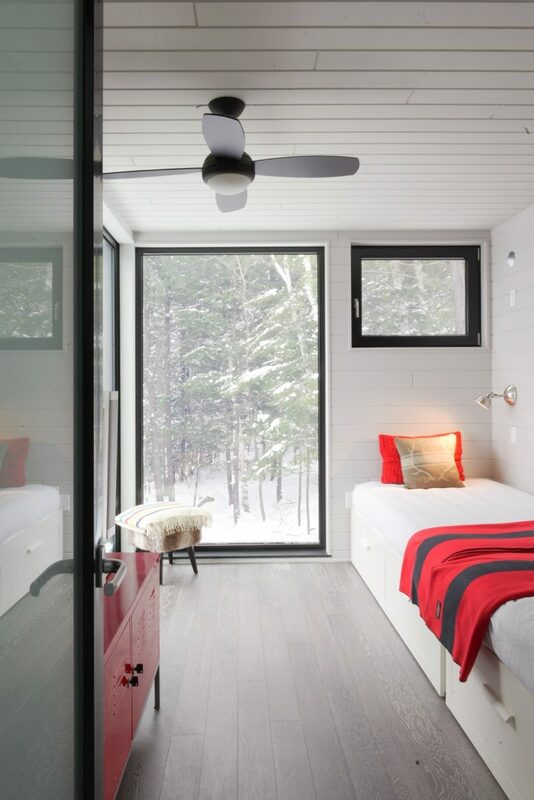 The bedrooms are contained in a 2 storey box with large corner windows in the trees. 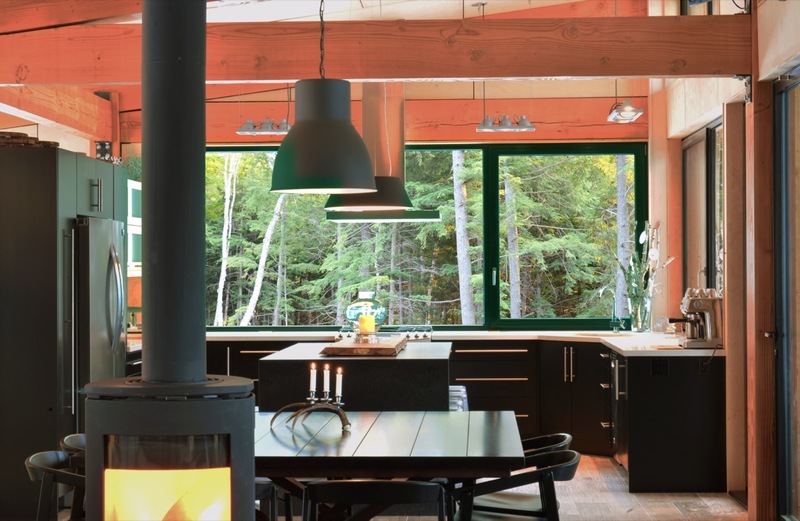 The living area features a cozy cottage aesthetic highlighted with heated wood floors, douglas-fir beams and birch plywood paneling. 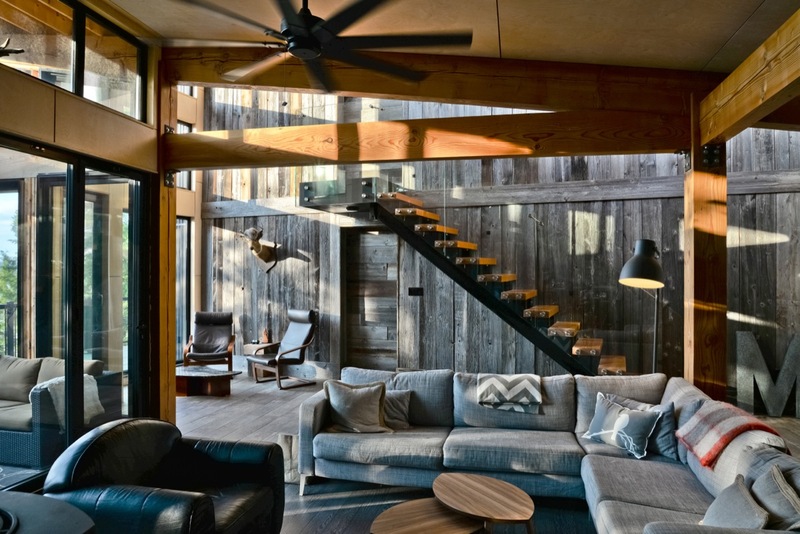 A large screened porch opens the cottage to the outdoors. The kids bedrooms are cozy and bright. The master suite is a full floor private retreat. 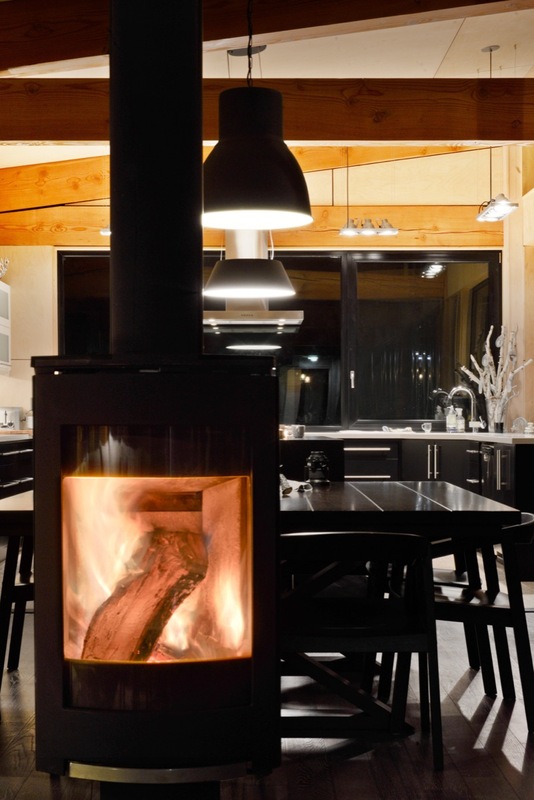 The cottage is heated by a radiant in-floor system along with wood stoves.